The Piolet d’Or (Golden Ice Axe) are yearly awards recognizing accomplishments that exhibit “high technical level and commitment,” as well as “respect for the mountains…beauty of movement, and the spirit in which people climb these mountains.” They have been awarded since the early 1990s, and have always had a degree of skepticism packaged into them. The jury of accomplished alpinists does not have strictly quantifiable criteria with which to judge, and alpinism itself is open to a great deal of interpretation. Furthermore, in a sport where so much is done in pairs or solo, the integrity of the athletes is necessarily presumed. After his ascent, Steck came under scrutiny due to the lack of evidence. He has consistently stated that he lost his camera and a glove in an avalanche on the way up (in an area known for avalanches, this is unsurprising); further, he has asserted that the altimeter on his GPS was broken, so it was impossible for him to obtain proof. His receipt of the Piolet d’Or made the issue even more important – if awards are handed out without proof, what is to prevent people from their own fabrications? So what? Why do I care? I want to believe Ueli Steck can do what he’s claimed to do, because otherwise I have been wrong to give him that respect. I want to believe in Ueli Steck’s integrity, because otherwise I must doubt everyone else I have believed in as pinnacles of their sport. It is so easy for us to demand evidence of everything. In this digital age, providing proof shouldn’t be a big ask. But demanding proof goes against much of what I’ve found freeing about climbing. The deeply personal nature of our sport – and of Ueli’s, and of many others – means that my accomplishments are, by necessity, my own. My sends are my own, as are my failures. I want to do it completely, and I want to do it right, and I believe anyone who is driven by the same desire to stand on top of mountains has the same ethics, the same standards. 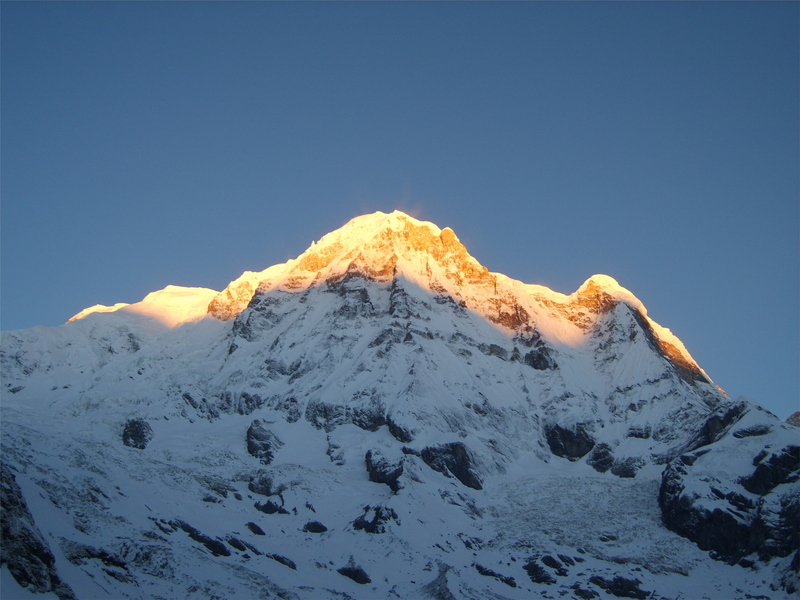 Only Ueli knows whether he summited Annapurna last October, but he says he did. I’ve decided that for me, that’s enough – his reputation, and my own admiration (maybe too starry-eyed), is enough for me to trust him. Absence of proof is not proof of failure; I will continue to trust in my heroes until I have a reason not to. That’s part of what makes them heroes. 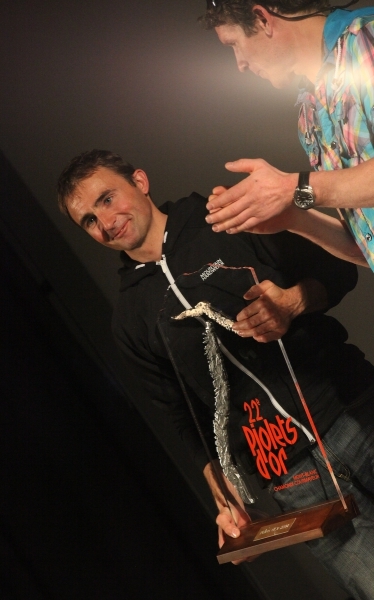 This entry was posted in News and tagged news, Ueli Steck. Bookmark the permalink.